KODAK i4850 Scanner Scanners process transactions at the speed of business. 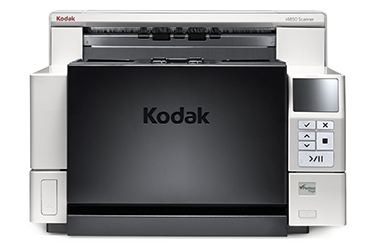 Busy mailrooms, production departments and service bureaus have relied on the Kodak i4850 Scanner for years to deliver a valuable combination of quality, productivity and affordability. It’s a great choice for plowing through hours of uninterrupted scanning. Now we’ve upgraded the performance of the original line by adding the latest Smart Touch technology.